Definition at line 34 of file Abstract.php. Definition at line 64 of file Abstract.php. Definition at line 74 of file Abstract.php. Definition at line 118 of file Abstract.php. Reimplemented in Mage_Adminhtml_Block_Sales_Order_Creditmemo_Create_Form, Mage_Adminhtml_Block_Sales_Order_Creditmemo_View_Form, Mage_Adminhtml_Block_Sales_Order_Invoice_Create_Form, Mage_Adminhtml_Block_Sales_Order_Invoice_View_Form, Mage_Adminhtml_Block_Sales_Order_Shipment_Create_Form, Mage_Adminhtml_Block_Sales_Order_Shipment_View_Form, Mage_Adminhtml_Block_Sales_Order_Totals, and Mage_Adminhtml_Block_Sales_Order_View_Tab_Info. Definition at line 41 of file Abstract.php. Definition at line 106 of file Abstract.php. 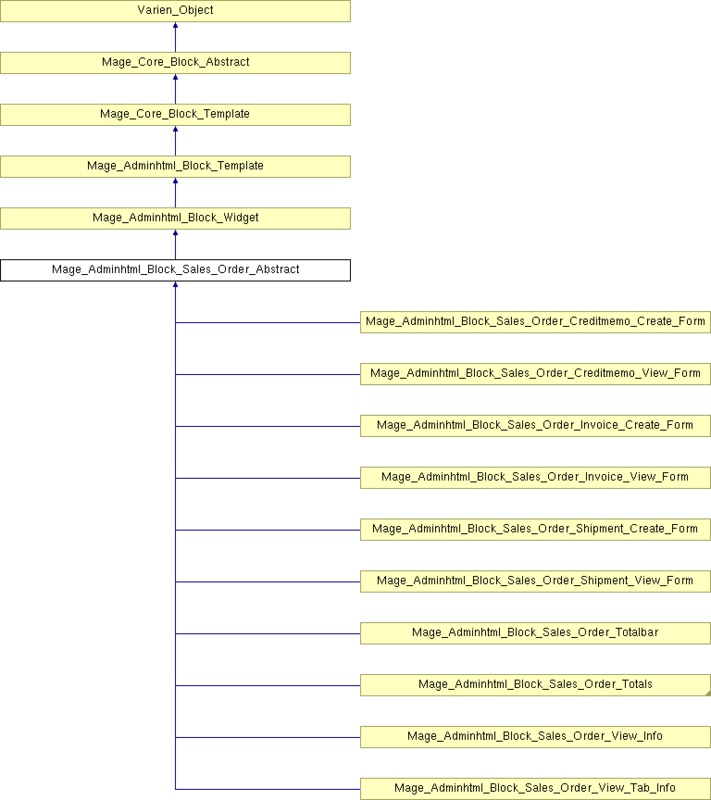 Reimplemented in Mage_Adminhtml_Block_Sales_Order_Creditmemo_View_Form, and Mage_Adminhtml_Block_Sales_Order_View_Tab_Info. Definition at line 96 of file Abstract.php. Definition at line 55 of file Abstract.php.